The deadline to submit an application for Spring 2019 has been extended until Friday, January 18, 2019. You still have time to get your application in! 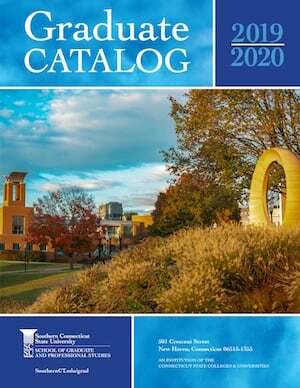 See the Graduate Catalog for specific program deadlines for those without rolling admissions). Welcome, we are pleased that you are considering graduate study at Southern Connecticut State University! The scope and quality of graduate education at our university are remarkable, as is the caliber of our graduate students. We welcome and encourage applicants from around the world and actively promote a diverse student body comprised of different ethnic, socioeconomic, cultural, academic, and personal backgrounds. Southern offers more than 40 accredited master's degrees, doctoral degrees, and graduate-level certificates. Whether you are looking to start, advance, or change your career, we will help you achieve high-quality, specialized career preparation that can lead to employment and career success. Graduate degree programs are offered in the schools of Arts and Sciences, Business, Education, and Health and Human Services. Our programs are taught by experienced, committed faculty, dedicated to the success of each individual student. Learn about our excellent academics, our diverse student body, and numerous student organizations, as well as the research centers, that enhance the research climate of the university. Please call or email me with any of your questions or if I can assist you with your application process. We welcome your interest in Southern and hope you will join the over 40,000 graduate alumni who began their successful careers here. Applying for graduate school can seem like a daunting task. Where do you start? What can you expect? How does the process work? 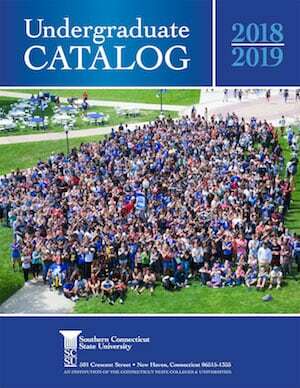 Each program is different, but we’ve put together a page to help you understand the basics of applying for a program at Southern Connecticut State University. Learn more about the application process.